Having a teen diagnosed with ADD (attention deficit disorder) or ADHD (Attention-deficit/hyperactivity disorder) is nothing to be ashamed of. It makes me cringe when parents assume that teens with ADD/ADHD are not intelligent children – on the contrary, most are highly intelligent. The problem is they lack the focus to work to their potential. This is why sometimes they are prescribed medications to help them focus. Today there are a wide range of prescriptions to choose from. One of the hardest parts of ADD/ADHD teenagers is experiencing the ODD (opposition defiance disorder) that usually sets in through those puberty years – in combination with the typical teen behavior. Your house can feel like a war-zone. Some parents have said they feel, at times, like they are actually be held hostage in their own home. 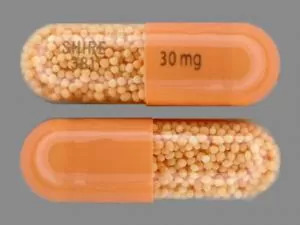 The abuse or misuse of Adderall is that some teens are not using it as it is prescribed by their doctor and some are sharing it with their friends. 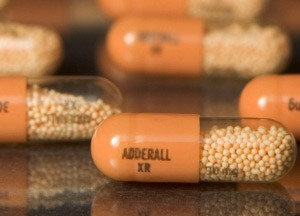 This has been an ongoing trend that is happening with teens: the abuse and misuse of ADD/ADHD drugs such as Adderall. Also keep in mind, if you suspect your teen is using marijuana or any other street drug or drinking, contact the doctor that is prescribing the medication for your teen. Let them be aware of your teen’s behavior so you will know the possible side effects or if your teen should stop taking the medication while they are going through this negative time of their life — and you seek alternative help for them. One in four teens report lax parental attitudes toward prescription drugs as compared to parental attitudes about illegal drugs, showcasing a dangerous and untrue belief that prescription drugs are “safer” than illegal drugs. About 33 percent of teens surveyed felt that using prescription drugs without a prescription was acceptable. Approximately 20 percent of the teens who admitted to abusing prescription drugs used the drugs before reaching the age of 14.
in some cases the onset of more serious psychiatric symptoms. 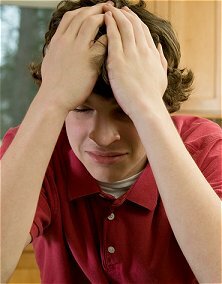 If you feel your teen is abusing prescription drugs, get help immediately. If you have exhausted your local resources, contact us for information on residential therapy options. Don’t wait for a crisis to happen. Be an educated parent about how these programs can help you if you need them. We can assist you in these questions.